First I want to point out the difference between purgatory and hell; one is temporary and the other permanent, but there is also another difference. Hell is eternal punishment for your sins, purgatory is purifications for your unforgiven sins. There are many and many Christians that are not worthy or ready to go to heaven when they die. Look at their sins, only the perfect go to heaven and they are only a few. What about the narrow gate, only a few will find it and enter in. Jesus is talking to His followers. If Jesus was talking about hell we all know you never get out of hell, because you will never be able to pay all that you owe. Only through the blood of Jesus you can pay back all you owe. There are no Buddha’s, Islam, Hindus’ etc. in Purgatory only Christians. Catholics call them holy souls in Purgatory, because they are all belong to the sheep fold of Jesus Christ. They all believed in Him, they were not just quite up to scratched to enter heaven yet. So they are sent to purgatory to be made ready to go to heaven. That sounds a lot like mercy to me. I remember when my father was dying. There is often a lot of mind reading going on during these intense occasions. I knew my father was satisfied that he confessed all his sins, but I knew different. My mother had very fair skin and my father always insisted that she go to the beach with him. She wasn’t a beach person and so she would find a place to sit down. There was no shade. She would sit there for hours at a time, while my father enjoyed his swim. My mother’s face became so lined that she looked at least twenty years older than she was. I was going to tell my father that in my mind to his, but then I got cold feet. Then a spirit appeared to both of us and told me in a very firm manner to tell him. My father was listening into the conversation, wondering what sin it was that he didn’t confess in a peaceful manner. Well I went from one extreme to the other, I shouted it out so loudly that there was a spiritual echo and it was like the echo went through the whole of heaven. So that everybody in Heaven would have heard it. My father panicked and responded so fast and ask my mother, who was there at that time, to forgive him. My mother didn’t know what was going on between us, but it was an important apology for her, she never forgot it years after. And she always remembered it with fondness. My father was a very good man, but we all have weakness and we all sin. If I didn’t told him of that sin, he would have died not confessing it. So what I am trying to say, God would not of send him to hell, because he really gave his all during those last few months of his life. God is not mean, he knows where our hearts are at. If we are for Him, but need some cleaning up to do, we go to Purgatory until we have done our time in purification, which is a very painful process to endure! If our hearts are closed to God, even as a Christian we will go to hell forever, when we die. There is a two books called Maccabees, it is in some Bibles but not in all. I am going to quote from 2 Maccabees 12: 42-45 …..and gave themselves to prayer, begging that the sin committed might be urged the people to keep themselves free from all sin, having seen with their own eyes the effects of the sin of those who had fallen; after this he took a collection from them individually, amounting to nearly two thousand drachmae, and sent it to Jerusalem to have a sacrifice for sin offered, an altogether fine and noble action, in which he took full account of the resurrection for if he had not it would have been superfluous and foolish to pray for the dead, whereas if he in view the splendid recompense reserved for those who make a pious end, the thought was holy and devout. This was why he had this atonement sacrifice offered for the dead, so that they might be released from their sin…. Another thing to point out; as we all know Christianity roots come from the Jewish faith and in the Jewish religion, they even now still pray for the dead. I am not sure for how long, but it is in fact for a long time, some weeks at least. There are many and many testimonies about people in Purgatory, written in books. One book it is called ‘Purgatory’ and it is a Tan Publications. It was my first book and it scared me like you wouldn’t believe, because of what they suffer. They suffer the pains of hell. That is why I want as many Christians to know about it as possible, because you can help them through your prayers to shorten their time there. Believe me every Christians has relatives suffering there and because people don’t know about Purgatory, they are not helping them. So they have to stay there full time. For some it is going to be until Judgement Day. How do I know? Jesus has told Catholics Saints centuries ago and is still revealing to Catholics in this century too that it is so. I have been told personally by Jesus to pray for my relatives and I do it every day. Luke: 6:43-45 “No good tree bears bad fruit, nor does a bad tree bear good fruit. Each tree is recognized by its own fruit. People do not pick figs from thornbushes, or grapes from briers. A good man brings good things out of the good stored up in his heart, and an evil man brings evil things out of the evil stored up in his heart. For the mouth speaks what the heart is full of – I was thinking more about why many people including the Protestants seem to believe all the apparitions of Mary as being false and many seem to believe it is from the devil. It is true for sure we have to test out every spirit and that is what the Vatican does constantly. There was a saying in the Catholic Church ‘the quickest way to get persecuted by the Catholic Church is to say that you had a vision.’ You only have to look back at history to see how true this saying is. Most saints were given an extremely hard time while they were alive, because the church would not believe them. When the saints were safely buried and out of harm’s way, the church often canonised them. Saints are like Jesus they often rock the boat. People don’t like to be told they are wrong for one thing. They don’t like their spirituality to be upgraded. They want to stay in their comfort zone. If we are to follow Jesus we can’t do that. If we want to stay comfortable, we are going to find that we are on the road to hell not heaven. To follow Jesus you are always climbing to higher places of righteousness. Climbing higher and higher up God’s Mountain is never easy nor comfortable. 1 Corinthians 13:7-8. (Love) always protects, always trusts, always hopes, and always perseveres. Love never fails – What is the fruit of a believer in Jesus? Love!! Love of God and love of neighbour. Love is not always sweet and mushy. True love will speak out and even correct you if necessary. Because love doesn’t want you to waste your life and it is always wanting the best for you. Love is not weak. Love can be cruel to be kind even. People these days hate discipline more than any other generation in history before it, far as I am concern. The fruit of a true disciple of Jesus is explained to me well in 1 John4:7. Let us love another, for love comes from God. Everyone who loves has been born of God and knows God. All these apparitions of Mary if you look closely and honestly you will see the fruit that has been offering to us by her, it is always for us to grow with love of God and our neighbour. If the apparitions were of the devil he would do the very opposite. He would teach us it is OK to be lazy spiritually, so that you will not advance in the Kingdom of God. Mary doesn’t teach laziness, she is telling us to pull up our socks. She is saying pray harder, obey the commandments of God like never before, because your soul and our world depends on it. She approaches everybody with love, she doesn’t encourage vanity or snobbery but humility and love in all her seers. She doesn’t draw people to worship her regardless of what people say, her attention is always bringing us closer to God through her Son Jesus. That is not what the devil would do. If it is the devil all the seers would be proud and educating everybody to take the easy and broad road to hell. Mary teachers us to follow Jesus by the narrow and straight road that only a few find and are willing to travel, because it is a hard and difficult road. 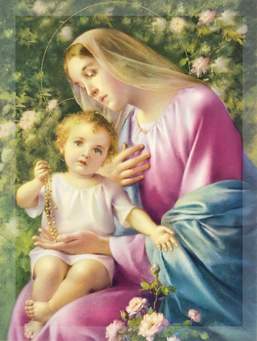 Mary doesn’t teach to follow Jesus is going to be easy, she is teaching us not to get too comfortable here on earth as if this is our eternal home. Many people including Christians do live on earth as if we are not going to leave it. How dangerous. All the disciples with the exception of John were martyred to death, because they taught what the religious of the day did not like. What they taught was truth and it didn’t flatter their egos. Satan and all his followers’ uses flattery to get you to do what they want you to do. And so many people fall for it. God and His Children including the Mother of Jesus, speaks on the true path to enter the Kingdom of heaven, because they are sincere in wanting you to arrive in God’s Kingdom. People who follow the devil will say what you what to hear, so that they then can win your trust to get you to do what they want you to do and it is always to rob you of your inheritance that God is offering you. The journey to heaven is not a push over. There are many trials to overcome and we all need to know how to handle these trials. Not one of us can do it on our own. That is why I love and preach the importance of practising the communion of saints so much. We all can do with extra help from the saints who have made it to heaven, they know the way. After all they have arrived!!! When you ask them to help you, they do according to your faith. The more you believe they will intercede on your behalf, the more spectacular the prayer gets answered. Saints are very kind people, because they are in the image of God. They no longer suffer imperfections like we do. They love you more than you love yourself. All of the inhabitants of heaven does. They all do the will of God in heaven, not like earth. I was twenty three years old when I decided to become a Catholic. Originally I was raised as a Presbyterian. My mother was a Catholic so while I was growing up I was learning both the Protestant beliefs and the Catholic’s beliefs alongside each other. So I knew beforehand that Catholics would chose for themselves a patron saint to watch over them during their life time. They chose the patron saint they wanted for themselves at the time of their confirmation. Catholic children can be confirmed into the church at the age of eight years old. Confirmation is a time when you fully enter the church by your own decision. When you are baptised as a baby your parent’s faith covers you, but as you grow older you have to make your own decision. The advantage of being confirmed later, I put more thought into who I wanted to be my patron saint. It was between Saint Teresa of Avila and Saint Francis of Assis. They both had a great influence on me in choosing to become a Catholic. 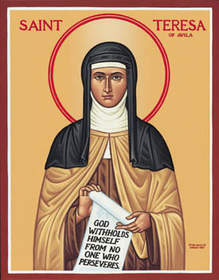 Saint Teresa was called to reform the Carmelite order by God. So there are now two Carmelites orders. 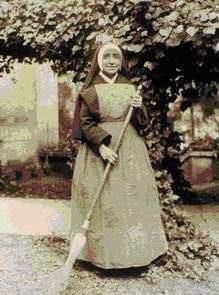 The one Saint Teresa originally belonged too and the one she started. The one she started there are three orders within the one order, they are all considered equal, but have different roles. In the old days you would say the first, second and the third order. I still prefer to think that way myself. The first order is the enclosed order, which I have always been the most attracted to all my life and I wanted to join it, but it seems it was not meant to be. In the first order you stay in the convent and never leave, you are enclosed for life and concentrate on full time prayer, silence, penance and fasting. The second order the religious, live together but they do secular work, which prayer being the most important and the third order that I was privileged to join at a later date for a short time, is the third order, in this order people live in the world just like the rest of us, they go to work, have a career maybe, marry and raise up a family, but all along they live by the Carmelite rule. Which basically is practising a deep prayer life under the care and guidance of the Carmelites order. I am a real believer in prayer and I have been attracted to the enclosed order from the age of eight years old, I even picked out a name for myself. I said to myself ‘if ever I joined the Carmelite order, I will choose the name ‘the lamb of God.’ When I did decide to join the third order and it was now the time to choose a name I started to think to myself that name was too high for me, that I wasn’t worthy of it, but I could not find another name that I felt connected with, so I am sure God was saying, ‘I want you have the name you chose for yourself when you was eight years of age.’ When my fellow Carmelites asked me who was my patron saint was? They were always completely taken back, because they naturally expected me to have chosen a Carmelite saint, but instead it was Saint Francis of Assis, who started another order, completely different from Saint Teresa. 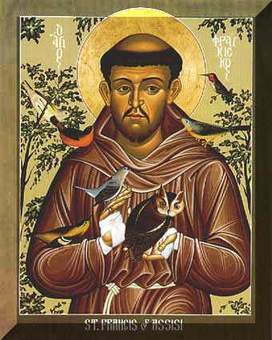 If I feel so strongly about prayer and was naturally attracted to the Carmelites, especially the enclosed order, why then did I chose for myself Saint Francis to be my patron saint who is so different? Purely because I knew I lacked self-discipline in the denial section and I thought Saint Francis was very strong in that area. He taught me the importance of carrying my cross. And that if I wanted to go to heaven with all the greats I had to learn to deny myself. Now I can hear all the complaints coming from the Carmelites, which are saying things like ‘what do you think we are doing?’ It is true they practise self-denial too. But it was Saint Francis that convinced me of that. Saint Teresa convinced me of the importance of praying without ceasing. When a Catholic chooses a patron saint, they take on that person’s name. It is called a confirmation name. So even though I still go by my Christian name, I also have a confirmation name Francis. Protestant’s don’t chose for themselves a patron saint, because they believe that it is a form of worshiping saints. Catholics completely disagree. To worship somebody you have to actually worship them. We do not worship saints, but we definitely honour them. Some more than others. We don’t believe once you are in heaven you have nothing to do, but stand around the Throne worshiping God all the time. There are all sorts of activities going on in Heaven. They are always in the presence of God, doesn’t matter where they are or what they are doing, and they also have work to do, just like the angels in heaven do. Believe it all not! they are even more powerful than angels. While we are on earth the angels are more powerful than we are, but once we have proven ourselves worthy by faithfully serving God on earth, and accordingly to the level of how much we had surrendered to God while we were on earth, will determined how high our ranking is in Heaven and the power that goes with that rank. When I mean we have power I am talking about the power of God working through us, it is a gift from God’s. Protestants may ask how can I be confident of this, the answer is simple. Catholics from its very beginning of it creation, (which we Catholics believe that our church started with the disciple Saint Peter,) people have always have had visions from God and God does reveal secrets to the humble even now, especially now! Catholics have not received visions as a majority, because somewhere on the line, people started to believe these things only happen to special people. God will talk to anyone who humbles themselves before Him and believes in Him in all truth. I read a book on another saint, though she is not canonised by the church, she is by far superior to many of the saints that are. Her name is Sister Josefa Menendez. Her book called ‘the way of divine love.’ Is now a classic and you can still buy it on the internet. She knew what suffering for the Lord was all about. I admire her complete surrender and courage. I had a friend who was very gifted in God’s spirit and I said to her I wanted to change my patron saint to Sister Josefa, and my friend who was a Protestant herself said that God said that I can’t change my patron saint, that my patron saint is Saint Francis. So I learn something that day, how disloyal and how ungrateful I was to Saint Francis. Once I was going through a period of being terrified of being alone. And I looked at the part of Saint Francis life, being very involved in helping the lepers, the sick and preaching things like that. I forgot all about the times he was alone in prayer with God. So I was calling on another saint, Saint Anthony, the one who lived in the desert. I thought he knew how to be alone, because he lived a life of a hermit for God. So I started calling on him to help me face solitude and then my patron saint, Saint Francis showed up and he showed me how hurt and offended he was with me for not believing that he didn’t love solitude for God. Saints communicate to people too, just like angles do or God himself for that matter. If you do not believe it, is possible then you have closed a door on them, and only by a special grace will it be open to you. What comes to my mind is Saint Paul, he was at first a non-believer and he was on a journey to find the Christians to hand them over to be killed. Jesus appeared to him, and after that experience he became a Christian himself. I believe it happen only because so many Christians at the time were praying for his conversion. There is no proof of what I have just said, it is just something that I believe in. I remember reading about a guy who lived some centuries back, Jesus appeared to him on the cross five times before he converted to Christianity, I believe somebody must have been praying real hard for him and persistently. When Catholics call on the saints to help them, it is not the same thing as calling on God to help us. I think that is where there is so much confusion and why Protestants tend to think we worship saints. When we call on saints we believe God gives them the ability to work on earth as another Christ, they are not Christ, but it is the honour God gives to His Children if they have been faithful to Him on earth. I have actually been told by Jesus one day and then the God the Father the next day to intercede through my earthly father who is now in Heaven. To ask my father for help; help would be given to me as if I asked Jesus Himself. I know there is going to be a lot of protest from the Protestant over what I have just said. And of course I can’t prove to anyone that God did spoke to me. All I can suggest is try it for yourself. God’s ways are not like our ways, because we are mean and miserly with our gifts we think God is the same way. God has given us the authority that Jesus has earned for us on the cross as if it is our authority, which we know it isn’t. Jesus has earned it for us because He is no way like us. He is so generous there are no words on earth to describe how generous our God is towards us. Everything He owns He has given to those who serve Him. If we make it to heaven we will rule with Him. He said so it is in the Bible.